Florida is full of predators, from the animals who thrive in its heat to the humans who stalk the malls, and they all give Dr. Kay Scarpetta, a forensics specialist, the opportunity and the means to do what she does best: persuading the dead to speak to her. I am very sorry I ever downloaded this book. The writing style is very weird, the characters act like children - actually worse. The profanity is unbelievable. I really wasted my money. I wonder how this book got printed in the first place. Huge fan but disappointed this time. I've read & listened to many Kay Scarpetta's but did not take to this busy story line which I found hard to follow. The South African accent also really through me. Not being a South African, but I found it hard to digest. 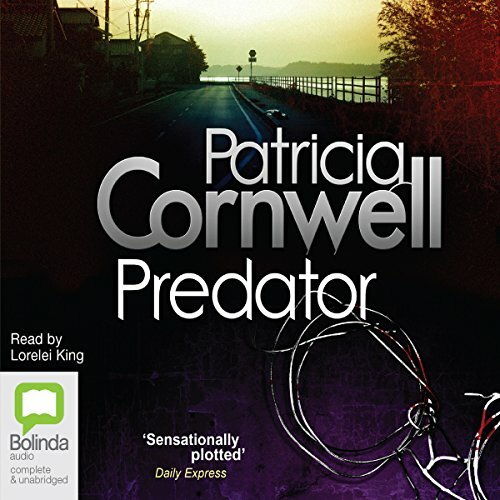 Patricia Cornwell's novels never fail to completely engage. Lorelei King delivers a perfect reading. highly recommend to fans of crime fiction. The whole Scarpetta series is a fantastic journey.